Day 1. An early start today as we make our way north via the motorway networks to our hotel on the outskirts of Glasgow. We arrive late afternoon with time for you to settle in & relax before dinner. Day 2. We have a later start today as we make our way to Edinburgh, Scotland’s capital. We arrive mid morning and on our arrival we are joined by a local guide for a panoramic tour of the city before we drop you off at a central location for you to have free time in the city. 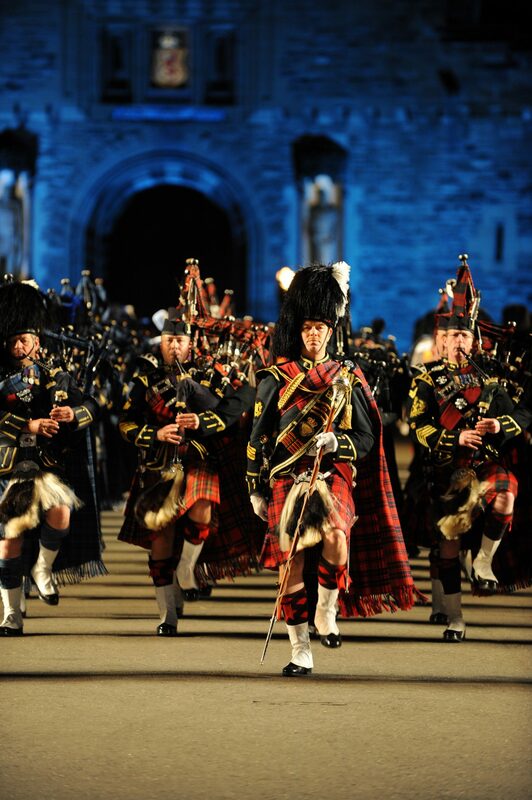 Later rejoin your holiday coach as we transfer you to Edinburgh Military Tattoo, the highlight of the tour. The show commences at 21:00 hrs & culminates in a fireworks display. Once everyone has returned to the coach we make the short journey back to the hotel. Day 3. Enjoy a leisurely breakfast today as we make our way to Stirling. The town was once home to the Bruce family and the castle at the head of the river controlled the trade routes in the valley. Also in the valley is the Victorian monument to William Wallace, an imposing tower set in the countryside overlooking the Battle of Bannock-burn site. After time in the city we depart for a scenic drive back to our hotel. Day 4. Today we depart our luxurious surroundings and make our way homeward. The hotel has 148 bedrooms with 40 ground floor rooms & all floors are served by the hotels lift. The hotel does have some bedrooms with walk in showers & these are on request basis only. Enjoy a peaceful night’s sleep in a comfortable, spacious guest room. Each of the standard guest rooms offer thoughtful amenities including a work desk, 49-inch HDTV and complimentary WiFi.